Having worked with Terry at Arthur Andersen on change enablement and leadership in the nineties, Pim joined the team in 2014 to collaborate on a leadership development programme using theatre as an experiential intervention for learning. Physics, Law, Environmental Consulting, Business Consulting, Flower Bulbs, Business Theatre, Strategy Consulting, Change and Leadership, and setting up new businesses all over the place. Reading a book on our roof terrace in the afternoon sun or playing soccer with my three boys on Het Amstelveld. Pim has always been fascinated with complexity, systems and human dynamics. What is it that enables a pattern to reoccur while everybody is genuinely trying to change it? Inspired by Chris Argyris, one of the very few who could practise what he preached, he specialised in helping senior teams overcome organisational defensive routines to realise their aspirations. After finishing his Master in Physics at the Royal Dutch Weather Institute, Pim decided to postpone ‘working’ to study Law and Russian. For fun. His first real job was at the Rotterdam EPA (DCMR) as an environmental lawyer, and later as environmental consultant on institutional development mainly in Russia and Latvia. He joined Andersen Business Consulting a few years later. Pim first worked with Terry when he got the lead in setting up the People Services in The Netherlands. In 1998 Pim first met Chris Argyris during the Action Design Institute. When Pim wanted to present a case that involved a survey on the organisational culture of one of his clients Chris said: “Before you go on, let me tell you the outcome of your investigation.” That triggered an understanding for Pim in everything that Chris had written and done. And inspired Pim to become a specialist in strategic dialogue. 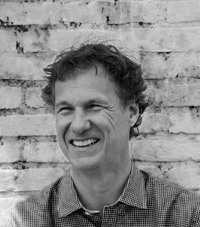 Pim left Andersen in 1999 to set up his own consulting business. He took over Actors in Business with a few colleagues and founded Het Consulaat in 2001. Theatre proved to be the key to making undiscussables discussable, to facilitate double-loop learning, and to make abstract strategies more actionable. Instead of using an army of consultants, it sufficed to facilitate a strategic dialogue that led to self-organisation and learning.